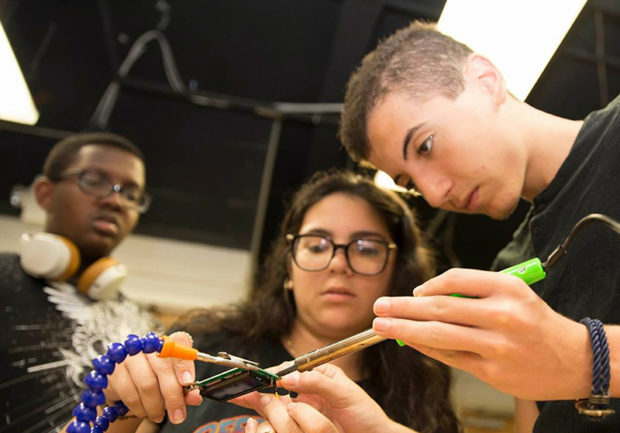 The National Science Foundation green-lit a first-of-its-kind nationwide pre-college course on engineering principles and design with a nearly $4 million grant. Engineering for US All aims to set a standard for pre-college students to earn widely accepted, transferable engineering college credit. Arizona State University is collaborating with three universities, NASA Goddard, Project Lead the Way, the College Board and 70 high schools nationwide to create a widely accepted dual enrollment program for students and offer professional development programs to train and certify teachers to support the undergraduate-level engineering course at the pre-college level. In February 2018, more than 100 deans of engineering in the United States indicated their willingness to award credit for entering undergraduate students who have successfully completed a high-quality introductory course in engineering while in high school. For the students who go on to study engineering at a university, the E4USA program offers the equivalent of credit for an introductory college course. 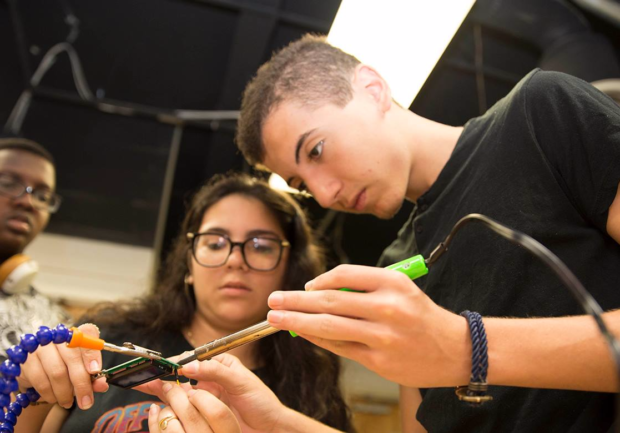 To judge the program’s efficacy, the national pilot will track STEM teachers and their students’ trajectories of learning engineering concepts through evaluations and design projects. The researchers hope that earning college credits in the field earlier will attract a more diverse group of students. 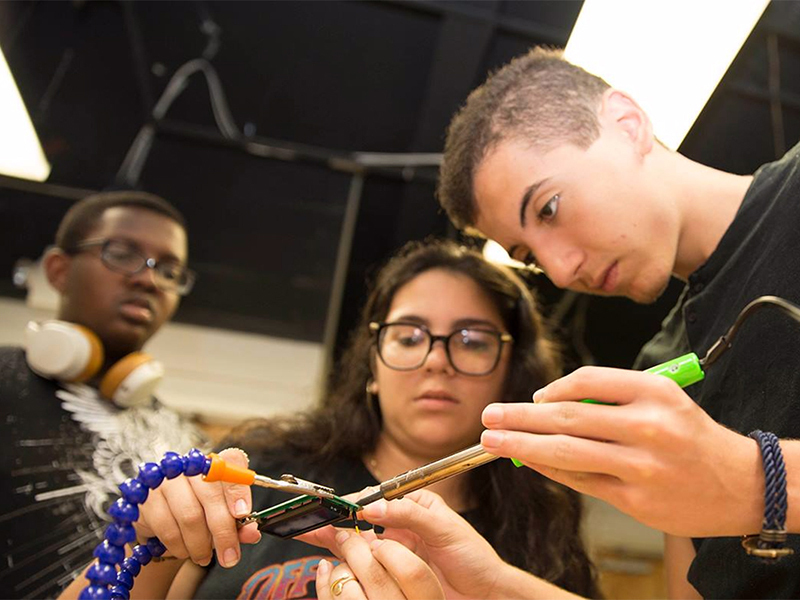 The NSF grant, which funds the next three years of programming, will put 1,000 students at approximately 40 high schools through the pilot. View the announcements from collaborators the University of Maryland, Morgan State University and Vanderbilt University.